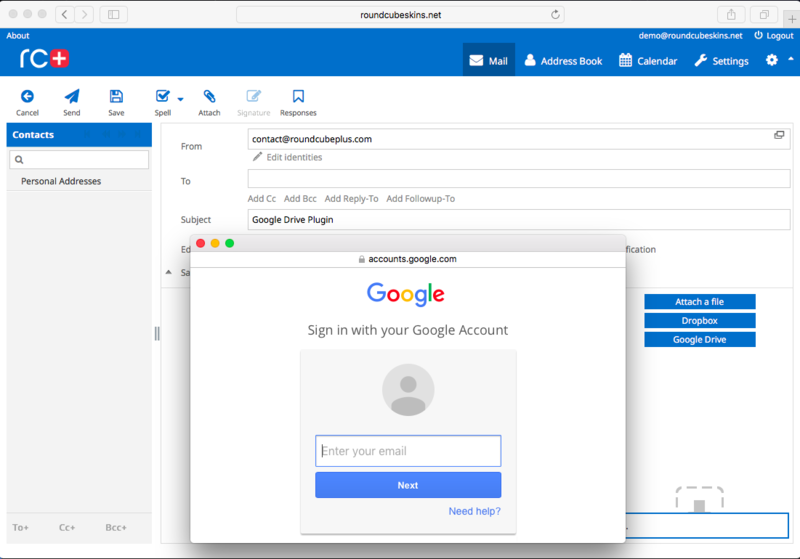 This Roundcube plugin adds the option to save attachments from incoming messages to Google Drive or attach files from Google Drive to outgoing messages. Attach files from Google Drive to composed messages. Save attachments from incoming messages to Google Drive. Allows you to save local disk space!